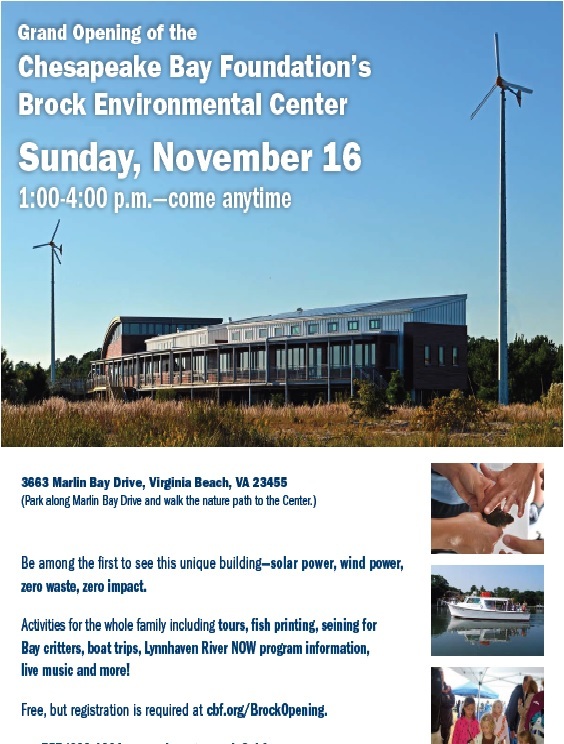 Grand Opening of CBF’s Brock Environmental Center on Sunday, November 16 from 1:00-4:00 p.m. This entry was posted in Communications, Environment, News. Bookmark the permalink.